A self-confessed magazine addict, I want to share a couple beauties with you. 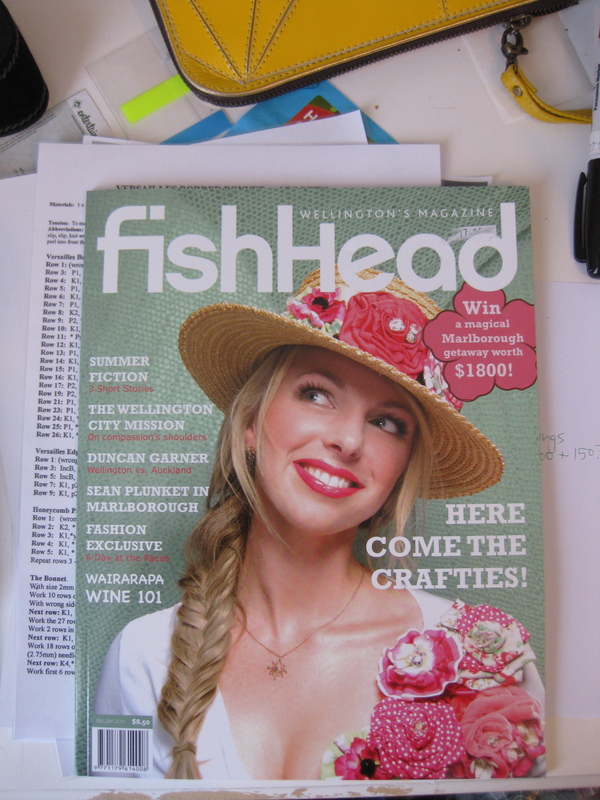 Firstly, fishhead magazine. Once you get past the name, it is a new Wellington-centric mag that was launched earlier this year. Still on the way to finding it’s niche, it’s definitely one to watch, especially seeing as they love craft so. 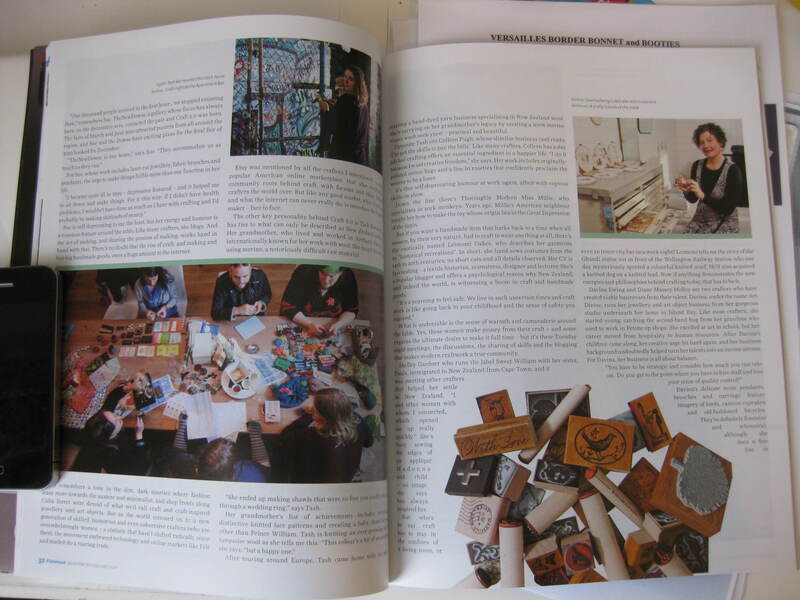 A rather thoughtful and well-written article about a bunch of indie crafters and designers (incl yours truly). See that table bottom left? That’s us having a ball at the Apartment Bar, Allen St, Wellington onTuesday nights from 5.30. You should totes join us! I also had the pleasure of flicking through the new Extra Curricular mag yesterday – based in Auckland, Ellie is getting better and better at putting this together every issue. Absolutely worth your spare change, it would be a real shame to see this go the way of Staple and World Sweet World. So go on, buy it!